1. Kenneth Kemp. born early 1700s. In 1766, “Keneth Kemp in Kilbokie” married Christian MacKenzie. They had three children, the second of whom was a son named Grigor. 2. Grigor Kemp. b. 1768 in Balnafetach. Grigor became a shoemaker, having learned his trade as apprentice with a relative, John Kemp, shoemaker in Catwell, Kiltearn. Grigor married Helen Matheson from Tain. They lived in Knockviasan (one of several spellings) near Culbokie. The first of their eleven children was called Kenneth. 3. Kenneth Kemp. b. 1790, Tain. Like his father, Kenneth became a master shoemaker. He and his wife, Mary Fowler of Findon, resided in the town of Culbokie where they raised their six children. Their second child was James. 4. James Kemp, b. 1824, Culbokie. Baptized by The Reverend John Macdonald, frequently called the Apostle of the North. James, a master carpenter and joiner, married Catherine MacLean of Culbokie, and they had ten children, all born in Culbokie. James died in 1886, leaving Catherine a widow at age 51. By 1891, Catherine had become a meal merchant and employer. She maintained her house and household in Culbokie Village, and at the time of her demise in 1908, had £65/11/10 in savings. James and Catherine’s first child was named Kenneth. 5. Kenneth Kemp, b. 1857, Culbokie. My great-grandfather Kenneth Kemp began his teaching career as a pupil teacher in Culbokie. He taught for a time at Acharacle on Scotland’s west coast. In 1878, he was appointed Headmaster of Cullicudden Primary School in Resolis, just six or seven miles east of his former school, Culbokie Primary School where his 2nd cousin, William Fowler, was now Headmaster. Both men held their posts for over forty years. That's a quick look at my direct-line Culbokie KEMP ancestors. My passion for family genealogy, shared by my mother who was already a genealogy buff, developed in the late 1990s. In 1998, in company with my mother, I visited Scotland for the first time. And where better place to take along a kilt and bagpipes? On the Black Isle, I was excited to stroll through Culbokie where my ancestors had lived. In Old Urquhart Cemetery just outside Culbokie, we found the resting places of many of them. I couldn’t resist puckering up and playing a few pipe tunes in tribute. Another graveyard I particularly wanted to visit was Rosemarkie Cemetery where lies my gg-grand uncle Grigor Kemp (aka Gregory), innkeeper, elder brother of my gg-grandfather James Kemp. Reputed to have been a skilled piper, Grigor owned a set of 1864 Glenn bagpipes. After his death, the pipes were passed down the family, eventually coming into my possession. Thus I felt a warm connection with this Uncle Grigor, and so, at his gravesite, with kilt swirling and bagpipes apiping, I solemnly marched round and round his gravestone. My mistake lay in then marching across the grave, where I suddenly found myself sinking into the deep bed of soft moss that covered it. For a moment, I was sure I was on my way to meet my piper! 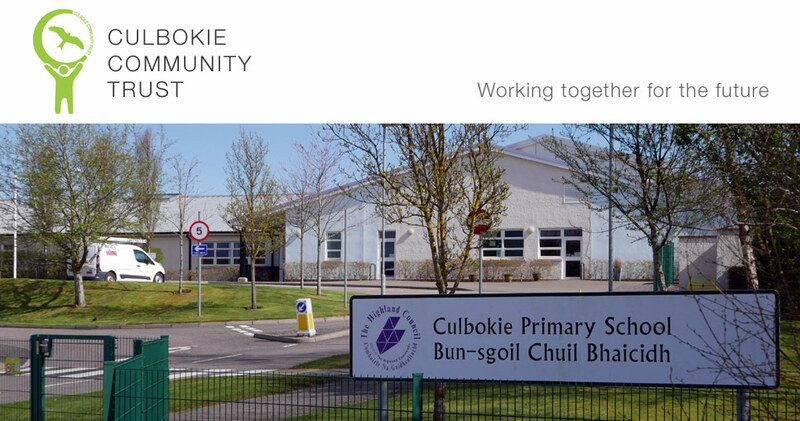 My mother and I are impressed with the great work Culbokie Community Trust is doing in and around Culbokie, and with its website that is so informative. Many thanks to all of you for your hard work. 8th March 2018 After pointing out that the name A. Kemp appeared on various important documents associated with Culbokie (Scotland's Place Names) Margaret supplied the following information. Mr. A. Kemp, Merchant/Grocer, Culbokie, will be my Great Grand Uncle Andrew. A bachelor, he lived with his parents, Kenneth Kemp and Mary Fowler. Andrew was born in 1827 and died in 1890, just three years after his mother. I have a copy of his estate inventory and valuation in which his brother Gregory Kemp, innkeeper, Rosemarkie, was appointed executor. 20th March 2018 After commenting on the connection between Kenneth Kemp and William Fowler Margaret supplied the following information, which makes everything even more interesting when there are these connections. Just to let you know that I hadn't bothered including the "once removed" part; that is 2nd cousins, once removed. Nor did I mention that the cousins were good friends, as Kenneth, when he was 18, was a witness at William and Ellen Noble's wedding in 1875.